Can the COPD Drug Spiriva Increase Your Stroke Risk? 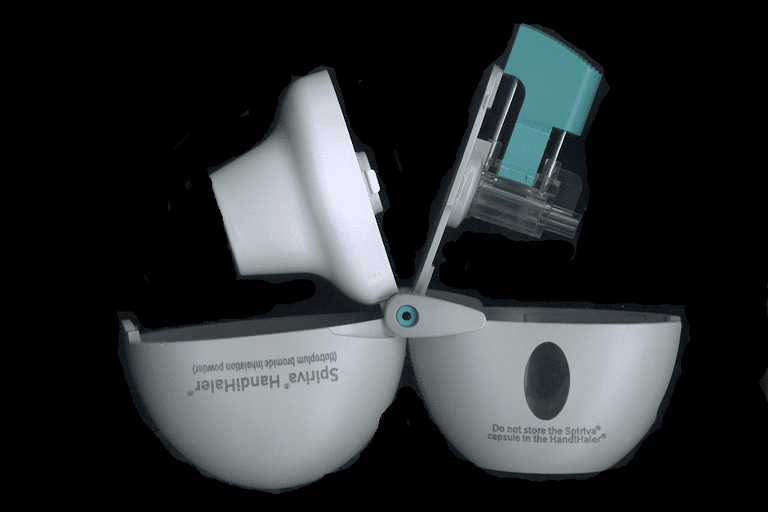 The U.S. Food and Drug Administration issued a warning back in 2008 stating that there was some preliminary evidence Spiriva could raise stroke risk, and possibly also your risk of heart attack or death. However, the agency retracted the warning in 2010, saying the evidence now showed that Spiriva didn't increase those risks. The available evidence from the most recent clinical trials indicates that Spiriva does not increase your risk of stroke, heart attack, or death. Spiriva is used in COPD to treat bronchospasms — sudden contractions in your airways that make it difficult for you to breathe. The medication is taken once daily through an inhaler. It's not intended to stop sudden symptoms as a "rescue medication" — instead, you have to take it regularly for it to help you. The original FDA warning on Spiriva, issued on March 18, 2008, raised questions about the drug because an analysis of preliminary safety data from 29 clinical trials involving Spiriva indicated that more people with COPD taking Spiriva had strokes than people taking an inactive placebo. Specifically, that preliminary data showed that eight people out of every 1,000 taking Spiriva had strokes, compared to six people out of every 1,000 taking the placebo. The FDA acknowledged that the information was preliminary, but said it wanted to alert physicians and patients about it. In the past, the agency has been accused of being too slow to issue safety warnings about drugs. At the same time, the FDA asked Spiriva's manufacturer, pharmaceutical company Boehringer Ingelheim Pharmaceuticals, Inc., to go back and study the issue again. The federal agency also told people with COPD who had been prescribed Spiriva not to stop taking the drug, and to discuss any concerns they had with their doctors. "FDA has now completed its review and believes the available data do not support an association between the use of Spiriva HandiHaler and an increased risk of these serious adverse events. FDA is advising healthcare professionals to continue to prescribe Spiriva HandiHaler as recommended in the drug label." So medical experts have concluded that the FDA's original warning on Spiriva and stroke was premature, and a more detailed review of the evidence shows that the medication doesn't raise your risk of stroke, heart attack or death. Spiriva, which now is sold in two versions — Spiriva HandiHaler and Spiriva Respimat — does have the potential for side effects, some of which may be serious. The most common side effects with Spiriva include upper respiratory infections, dry mouth, and sore throat. Dizziness or blurred vision may also occur with Spiriva, which may mean you need to use caution driving or operating machinery. In addition, Spiriva can increase the pressure in your eyes, leading to acute narrow-angle glaucoma, a condition that can threaten your vision. If you use Spiriva and have eye pain, blurred vision or reddened eyes, and if you start seeing halos around lights, call your doctor immediately. Finally, Spiriva can cause you to have difficulty passing urine and painful urination. If this happens to you, stop taking the medication and call your doctor. Global Strategy for the Diagnosis, Management, and Prevention of COPD, Global Initiative for Chronic Obstructive Lung Disease (GOLD) 2016. U.S. Food and Drug Administration Safety Alert. Tiotropium (marketed as Spiriva HandiHaler). Issued Jan. 14, 2010.